Someone was stabbing me between the shoulder blades with one of those big kitchen knives. Or, at least, that’s what the mental activity going on in my mind would have me believe. In reality, I was sitting in the meditation yurt, in a beautiful patch of desert way out in the Arizona wilderness. And my body just wasn’t used to spending 16 hours a day alternating between sitting and walking meditation. Hence the pain in my back. The human body wasn’t designed to stay motionless for long periods of time. Even while working for hours at the computer, or vegging out in front of the TV, you’ve probably noticed that you’re constantly shifting positions. That’s your body’s response to the feelings of discomfort that arise from too much physical inactivity. When you sit down to meditate, however, your intention is usually to remain still for the duration of your practice session. And if that session is long enough or frequent enough, discomfort is bound to occur. Sometimes, that discomfort is intense enough that you experience it as pain. Which is what was happening to me as I sat there in the yurt trying to remain focused on my breath. If you practice meditation long enough, you’re bound to run into pain and discomfort while sitting. And when you do, it’s important to understand how to use these uncomfortable sensations to deepen your practice. In previous blog posts (here and here), I went into some detail on how to work with pain and other uncomfortable sensations during meditation and daily life, and how to use these experiences to deepen your practice. I won’t go over that material here. Instead, I’ll explore why you might want to fully embrace practicing with pain and what you can hope to gain by using pain as the object of your meditation. But first, here’s a fairly typical progression of working with pain during meditation. The first few run-ins with pain (and possibly the first few hundred =) ), your most common response will be to shift your posture a bit and move your body in a way that you hope will minimize the discomfort. This is what you do unconsciously during periods of inactivity while you’re not meditating. Then, your meditation teacher says something about not moving the body right away when you’re experiencing pain or discomfort (or you’ve read my blog) and so you decide to give it a try. The first few times you try it, you probably still end up moving, but you now have a greater conscious awareness of the arising of the pain and, more importantly, the desire to move your body to alleviate it. And so you see how long you can tough it out. People’s tolerance to pain varies greatly, so maybe you last a few seconds, maybe you last an hour. But whether or not you moved isn’t really the point. What you want to do is use the pain to help you realize a profound truth that lies underneath all those uncomfortable sensations. What is that deep truth? Well, let me start by saying that there’s a big difference between understanding this stuff on an intellectual level, and really experiencing it – getting it on a deep, gut level. So even though I’m going to explain it here for you in this blog post, you shouldn’t expect to sail through your next painful meditation session after reading it. You’ll need to “put in the time” under discomfort and duress until you experience this truth for yourself. And, if you’re like most people, you’ll need to experience this truth multiple times before it sinks in enough to really cause a shift in your relationship with pain and other uncomfortable sensations. If you observe mindfully, you’ll notice that, even when you do move to alleviate the pain or discomfort you’re experiencing, the pain usually persists. It may temporarily go away, but it usually comes back, strong as ever, after only a short while. Moving doesn’t actually make the pain go away. Of course, if the pain is caused by poor posture, fixing that posture may greatly delay the onset of discomfort, so it’s useful to tinker with your posture to see if that the case. After all, you’re not actually trying to produce pain in your meditation! You should take the time necessary to find a posture that’s as comfortable as possible. But if your meditation session is long enough, even the most comfortable posture won’t prevent the arising of uncomfortable physical sensations. As an example, while on retreat recently, I did some of my longer meditation sessions in a very comfortable lying down posture. Well, by the third of these in a row, 45 minutes in, it felt like I would need knee surgery! In other words, at some point, you’ll need to deal with the arising of pain and make that first discovery. Ok, so if moving isn’t the solution, then what is? The solution lies in your relationship with the pain. If you follow my instructions on how to deal with pain during meditation or during daily life, you’ll at some point begin to experience your discomfort in a more objective way. The pain will begin to transform from “I’m in pain” or “my pain” to “pain is present” or even “there’s a bunch of constantly changing intense sensations in my right knee that I conceptualize as pain”. 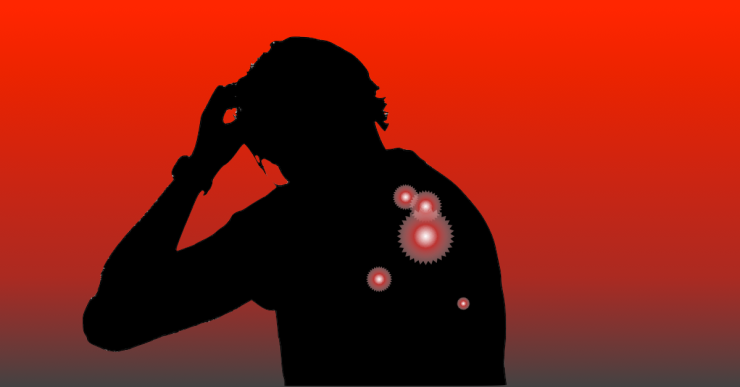 You’ll start to notice that “pain” has both a physical component and a mental component. The physical component is a bunch of sensations of pressure, heat, etc. whose location and intensity are constantly changing. A careful, objective examination of these physical manifestations of pain reveals that they are a mix of both pleasant and unpleasant sensations. And that, when observed in this way, these sensations are quite tolerable and even interesting. The mental component is made up of thoughts such as “this pain is killing me”, “I must be doing permanent damage to my knee”, “I better move before I really harm myself”, “I must be doing something wrong”, and so on. It’s this mental component that’s responsible for the “agony” of the discomfort. It’s what’s actually making the pain so difficult to accept. Once you’ve really experienced this, you’ll get this ah-ha moment in your practice. It’s the mental component that causes the suffering. And that suffering is in direct proportion to how strongly you’re resisting the pain. At some point, if you keep mindfully observing this process, your resistance to the pain will suddenly drop. You’ll completely accept the discomfort. In fact, you’ll reach a place where it’s genuinely just fine by you if these sensations hang around for the rest of the meditation session. When you reach that place, it means you’ve finally accepted the presence of the discomfort. You’re no longer trying to get rid of the pain. And when that happens, you’ll notice that there’s no longer any mentally created suffering present. It’s gone! Of course, the pain still hurts. It still feels unpleasant. But the anguish is gone. This is the deep truth that hanging out with pain during meditation can lead you to. The discomfort is unavoidable, but the suffering is optional. What you’ve just had a taste of is what, in Buddhism, is called the “Four Noble Truths”. The First Noble Truth is that there is suffering. In terms of your experience with uncomfortable sensations while sitting on the cushion, the discomfort and pain is, ultimately, part of being alive and having a body. It’s unavoidable. The Second Noble Truth is that it’s possible to figure out the cause of this suffering. As you realized during your ah-ha moment, the cause of your suffering is your resistance to the discomfort. This resistance, or craving for things to be different than they are in this moment, is what generates the mental anguish. The Third Noble Truth is that there is a way to stop the generation of that mental anguish, even if you can’t do anything about the discomfort itself. And the Fourth Noble Truth is that the way to do that is to fully accept what’s happening right now and let go of the craving for it to be different. When you are genuinely ok with the presence of uncomfortable sensations during your meditation session, the resistance you have to those sensations disappears, and so does the mental suffering that resistance generated. Obviously, there’s a lot more to these Four Noble Truths than what I’ve talked about here. It’s pretty profound stuff. But, just by hanging out with, and being curious about, your discomfort during meditation, you can get a glimpse into the fundamental teachings of Buddhism and gain an appreciation for their amazingly practical application. If you like this kind of stuff and want to discover how to develop mindfulness effectively and apply it in a simple, straightforward way, then you may be interested in signing up for my weekly blog updates. 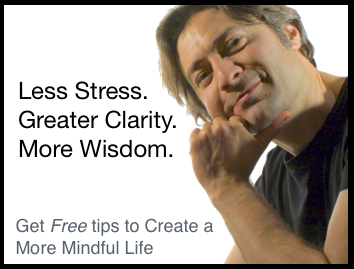 I’ll share with you how to cultivate and apply mindfulness to transform your relationship with things like stress, anxiety, anger and other difficult emotions, based on my 20+ years of meditation experience. I’ll also share a precise, effective, down to earth method for spiritual development (if that’s your thing), without all the fluff and hazy mystical language you’ll often run into with this kind of stuff. If this sounds interesting to you, click here to find out more. I find your blogs very interesting and helpful and look forward to reading more. I suffer from depression, anxiety and TMJ and I believe getting inside your own mind about it has got to be the best way to fix it. I look forward to learning more. Thanks a lot for your invaluable sharing. May you be well and happy with all these meritorious work done. Thanks for these insights. I imagine you have a lot of experience with this to explain it so articulately and I can relate to this agonizing pain you speak of. I practice 30 minutes a day sitting on the ground with back straight. I try to focus on the sensation of the pain itself and just be aware of it. I can’t remember if I’ve had the ah ha moment yet though, I may have once but if that were the case it hasn’t happened in a long time. It is very refreshing to come across a simple, zero-fluff guide to handling pain, which is something that most meditators face during their practice, and I’d like to thank you for that. I am fairly new to practice, with about a year of experience under my belt. Under the technique of meditation (Vipassana) that I have learnt, progress and learning go hand in hand with pain. With time, my tolerance for pain has increased but there are still times when I wonder if the pain really needs to be a necessary part of every sitting, which it seems to be for me. I’m curious to know what you have to say. Can you please give me an opinion as to is it ok to meditate lying down? Due to physical problems I can sit for any length of time so I meditate lining down. I would really appreciate your thoughts on this. I went to a meditation class for the first time last night. I have been suffering with neck, back and hip pains for some time but I have gone through significant stress in my life. I have also had a headache for a few weeks that will not go away. I went to the meditation class as a friend suggested I needed to do something to elieviat my stress and help me to try and relax. During concentrating on my breathing the pain I felt the most awful pain in my head, neck, shoulders and ached everywhere. I also felt like I wanted to cry. My fingers even hurt. Can you tell me what this is? It had nothing to do with my posture I was sitting on a chair comfortably. I am going to go again next week, it is only for an hour, but am I doing harm or good to my body. I thought I was going to feel relaxed not in pain? Please can you help explain what was happening. Thank you. Speaking of pain, in the last few meditation sessions I have, that is, by myself, I’ve been experiencing pain, a stabbing sensation, in the left part of my brain just behind my ear. Normally if I experience an itch, I can ‘ask’ it to go away but not this headache like pain. I’ve been meditating for the last two years and I’ve not come across this before. Any idea why this is? Since i have started meditation few days …i m suffer a lot of pain in stomach , back nd neck region and my ears brings a lot of jingur sound continously …itching also occur …and pain brings disturbance in my study too ….so i decided to not doing meditation …i know lot of advantages came in my life lije anxiety and sometime my head ache also occur….what will i do ???? Thank you so much for this amazing write up. I just prayed in my recent meditation for some guidance andI wondered if I should practice Hatha yoga to push beyond the 2 hour meditation which I’ve been at for a while. I think I’ll try and perceive the pain in awareness now. The fact that I might permanently damage my ankles since I’m practicing in vajrasana bothered me too even though the pain does reset after the session. Keep spreading the wisdom ? Your casual comments about 16 hours a day in a Yurt and 20 years meditation experience belie a very strong ego and grasping for status. Hi there,I read your blogs named “Why Pain Can be a Good Thing During Meditation – 30 Days of Mindfulness” like every week.Your writing style is awesome, keep doing what you’re doing! And you can look our website about proxy free list. I’m researching pain and transcendence, on account of longstanding vipassana practice, through which I learned exactly what you have given in this post. My experience went further, into a space of vibration that was so opposite pain that it became harder not to crave the sensations than it was to quit viewing pain with aversion! The sensation infiltrated my life outside of sitting, and made it very easy to meditate 2 or 3 hours/day. Eventually meditation led to lucid out of body experiences, and what seemed to be remarkable (intentional) healing as well. Of course I got distracted by these experiences in spite of warnings from the wise ones not to get sidetracked, just to observe. But my curiosity was strong, and as a scientist who’s been using the body to explore human capacities since early teens, I couldn’t help myself. One should ask whether they want the egg or the goose that laid it! Anyway it was a wonderful phase of life wherein I got an inkling of our larger being and that there’s more to us than conditioned awareness produced by the experiences of a material body. Meditation is its own reward. Thank you for Being and for sharing your wisdom. I am experiencing unusual (don’t know how to explain it, may be pain, may be stretching feeling) feeling in the entire body as if I have severe viral fever with in few minutes of trying to meditate. I am now able to continue further. It becomes more intense when I think I am not the body. Please help to come out of this and continue with my practice without this discomfort. I tried sitting and lying down postures.